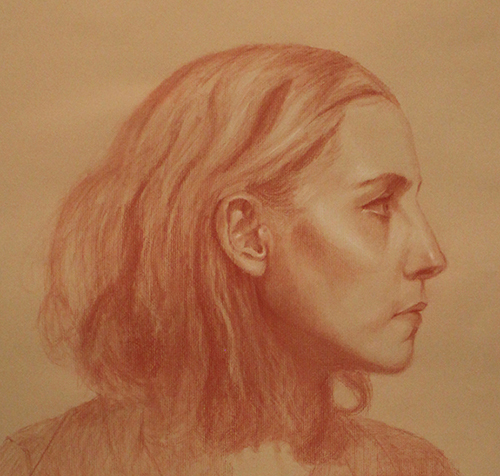 This entry was posted in portrait and tagged caput mortuum red, carbothello 100, carbothello 645, ears, female side profile, head drawing, portrait, strathmore velvet grey, titanium white. Bookmark the permalink. Very skillfull. Well done shiny with dull crayons. I applaud your work. I now see ugly ads added to your posts. If you are in doubt, trust me, your blog deserves it to be free of ugly advertisements. Thanks Paula. These are done with carbothello pastel pencils which are fun to work with. Thanks for the heads up with the ads – will see what I can do. 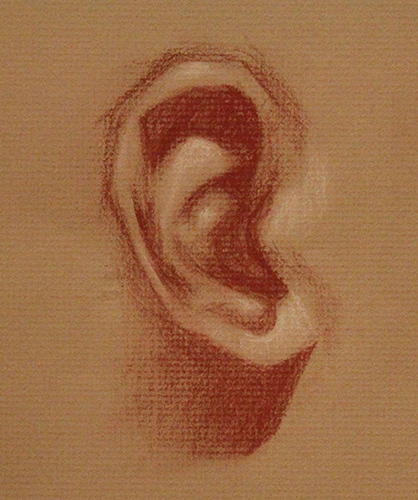 Nice shading and detail to the ear. They aren’t easy. 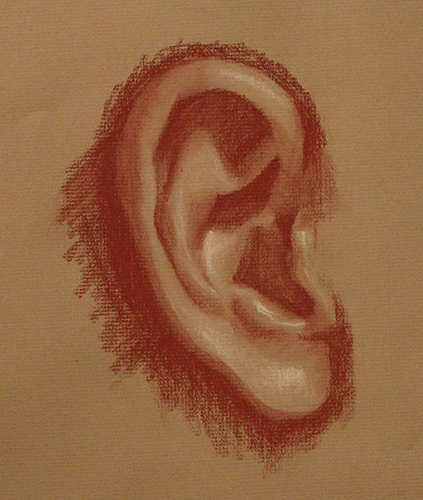 I used a red/brown pastel pencil for most of it and a white (titanium) pastel pencil for the highlights.